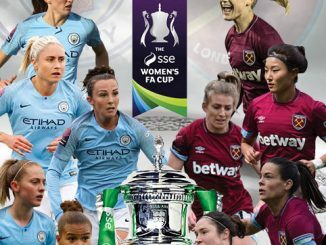 C & K Basildon are new leaders of the FAWPL Southern Division, Guiseley Vixens were denied a first win by Derby County’s last-minute leveller and AFC Wimbledon had an extraordinary second half of ten goals. Huddersfield Town are within three points of Northern leaders Middlesbrough – albeit from four games more – after defeating Nottingham Forest 4-0. Kate Mallin’s early goal was added to by an Emily Heckler brace, with Lucy Sowerby completing the scoring on 33 minutes. Guiseley Vixens were denied their first win of the season, with Derby County making it 2-2 in the final minute. The Rams took the lead just before the half hour mark through Andi Bell, with Fiona Worts equalised. Vixens’ substitute Debbie Hastings had an immediate impact in restoring Guiseley’s lead, only for Bell to bag her second at the end. C & K Basildon took over from Charlton Athletic at the top of the table, after coming from an early goal down to win 3-1 at QPR. Cherelle Albert put Rangers ahead in the 4th minute from the edge of the box but Jay Blackie soon replied. Angela Addison netted a six-minute brace to give the visitors a two-goal cushion with 17 minutes to go. 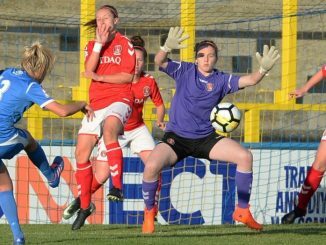 Gillingham denied Cardiff City LFC all three points with a late leveller. Kallie Balfour’s lob levelled the scoring with minutes to go after Zoe Atkins had given Cardiff a second-half advantage. 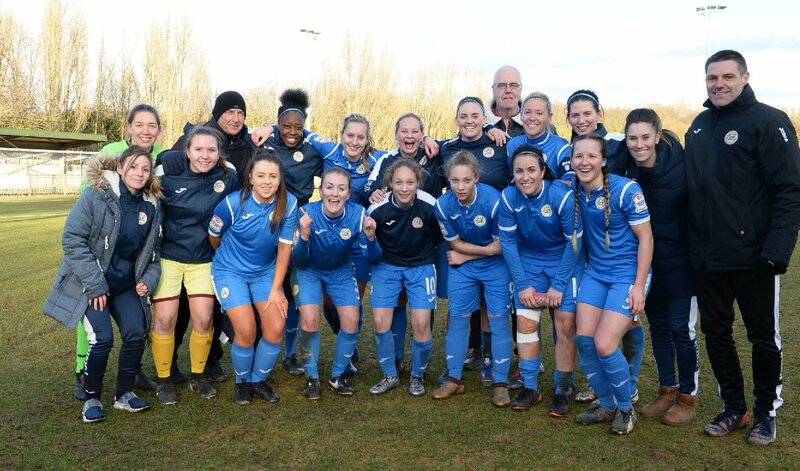 Loughborough Foxes went three points clear at the top of Midlands Division 1, with a 3-0 victory at Burton Albion. Charlotte Cooper netted midway through each half and completed her hat-trick in the 73rd minute. 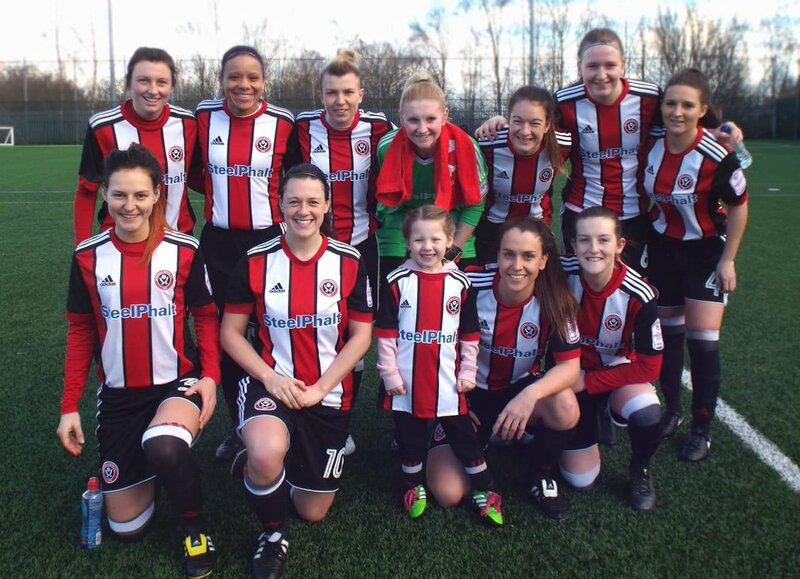 Sheffield United climbed to second when turning round a 1-0 deficit against Radcliffe Olympic. 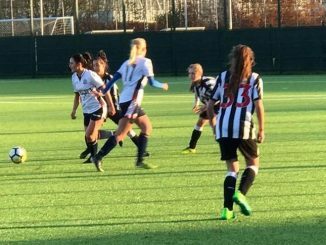 Beth Bailey’s opener was cancelled out by Natalie Shaw and with 96 minutes played the Blades were awarded a penalty, which Sophie Bell converted. Sporting Khalsa leapfrogged Steel City Wanderers on goal-difference into seventh after they defeated them 2-0. Leeds United escaped the Northern Division 1 relegation zone at the expense of Chester le Street Town, following an impressive 2-1 victory at fourth-placed Morecambe. 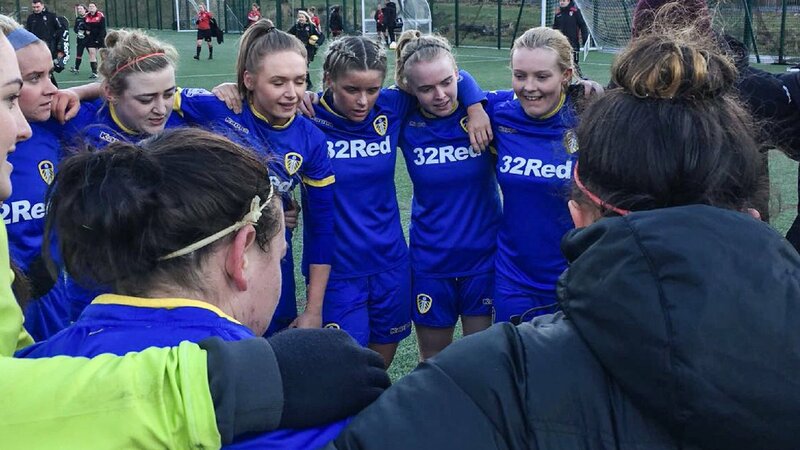 Yasmine Swarbrick’s goal had the hosts ahead at half time but Leeds turned the game round with goals by Shelby Morris and Rebecca Hunt to go ninth in the table. The top versus bottom game in South East Division 1 ended with AFC Wimbledon walloping Haringey Borough 12-2 to go eight points ahead of the rest. But that outcome was against the odds at half-time, the basement side having twice equalised to go in all square at 2-2. Georgia Heasman hit a hat-trick for the Dons, there was two each for Hannah Billingham, Hannah Searle and Laura Quinn-Low, singles from Rebecca Sargent, Jess Trimnell and Kelly-Jade Whelan. Enfield Town edged sixth in the table Cambridge United 1-0 to sit one point short of the U’s. 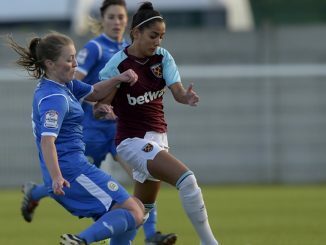 Stavroulla Panayiotou scored for the hosts 9 minutes before the break. Poole Town hit Cheltenham Town 6-1 to go fifth in the South West table, goal-difference ahead of Maidenhead United, but it was the visitors who scored first. 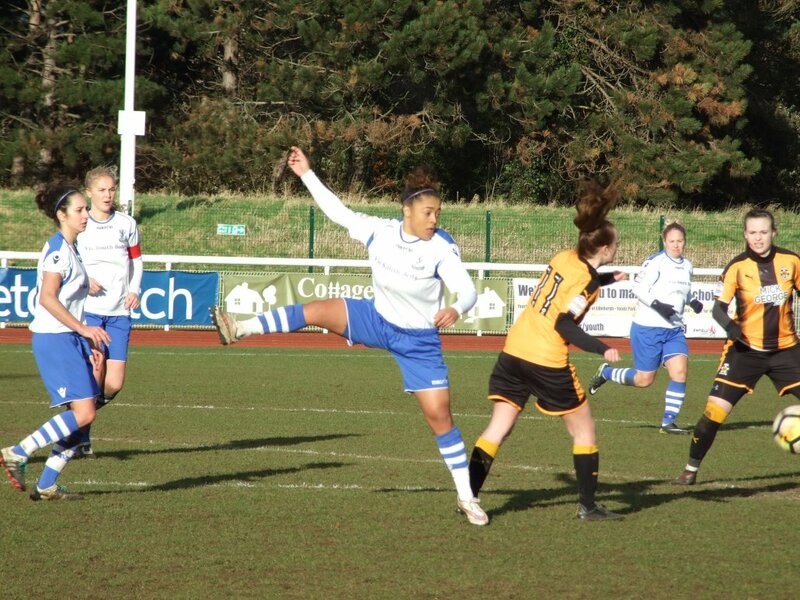 Lydia Amarquaye netted for the Robins but a Jemma Tewkesbury brace set Poole on the way to victory.